* Lightweight snap together carriers designed for 12" module soft blocks. * Six casters provide easy safe movement through any doorway. * 10 oz. reinforced vinyl sides and floor prevent blocks falling out the bottom, sides or back. 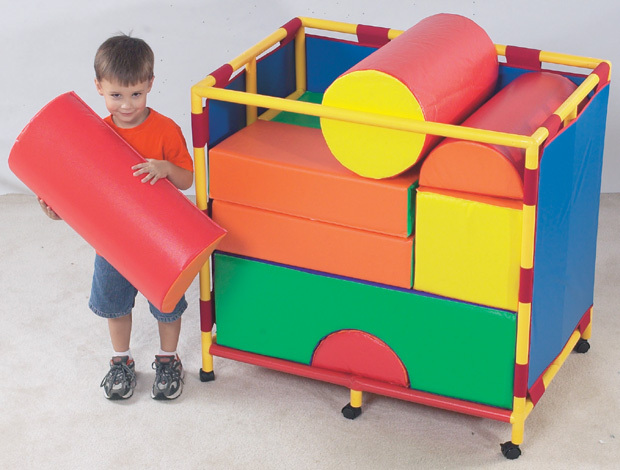 * Dimensions: 40" x 27" x 38"
36.75" x 8.25" x 8.15"
This product is shipped from our warehouse in Union, MO, USA. It takes about 2 weeks for the warehouse to process an order. A 20% Handling Charge is levied against all authorized returns except those due to our error. Unauthorized returns are subject to a 35% Handling Charge. The customer is responsible for a return shipping charge.